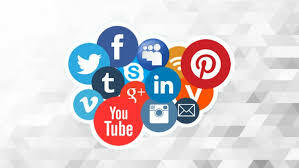 Social media marketing has become one of the most important marketing channels at this point in time. Its rising popularity is evident, despite the rapidly changing popularity of various platforms and strategies. Because of this, we have decided it is important to dive a bit deeper into how this type of marketing is changing with time. 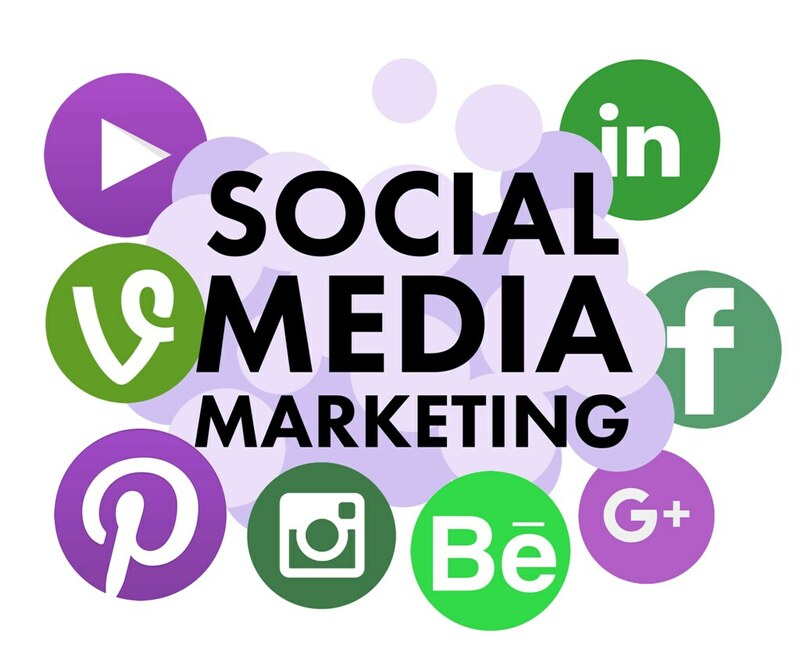 Social media manager and trainer Tereza Litsa has analyzed patterns and strategies from 2018 and subsequently identified 12 social media marketing trends to follow in 2019, which we will take a look at below. Engagement now goes beyond suggesting that followers leave a comment, or like or share a post. Instead, platforms such as Facebook are turning to their own algorithms in the push for more engagement by favoring content that prompts consumer involvement. This in turn incentivizes marketers to provide more engaging content for their followers. This type of marketing not only includes widely established influencers, which are becoming more and more costly, but now encompasses “the rise of micro-influencers” as well. Micro-influencers often have followers that meet a specific niche, and tapping into those markets can be much more beneficial for small or medium sized brands that cannot afford, say, celebrities with tens of millions of followers. According to Mary Meeker’s study of internet trends found here, 55% of consumers who discovered a particular product through social media in 2018 ended up purchasing said product. This shows that social media is now becoming a platform to enable the discovery of new products, and we can expect to see brands capitalize on this in the next year. Expectations about quick response times between brands and their consumers are rising, and artificial intelligence is already starting to help with this. For example, having automated messages for frequent questions can save the company significant amounts of time. This is why brands are likely to continue finding ways for artificial intelligence to improve their customer service. Even though there was a time when 24-hour stories were exclusive to Snapchat, they now appear on several social media platforms, including even LinkedIn. This global trend has over 400 million viewers per day on Instagram alone. In addition, they are fairly simple advertisements to create, they are visually appealing, and they do not require much further editing before being posted. And with so many millions of viewers watching stories on a daily basis, it is smart to assume that at least for 2019, stories are here to stay. To increase the legitimacy of social media marketing, platforms such as Instagram are taking steps to eliminate fake followers. This ensures that brands are prompting genuine engagement, which makes brands more inclined to use them for their marketing. Messaging apps such as Facebook Messenger and WhatsApp allow for more personalized content, and current trends show increased usage that is expected to continue to grow in the upcoming year. 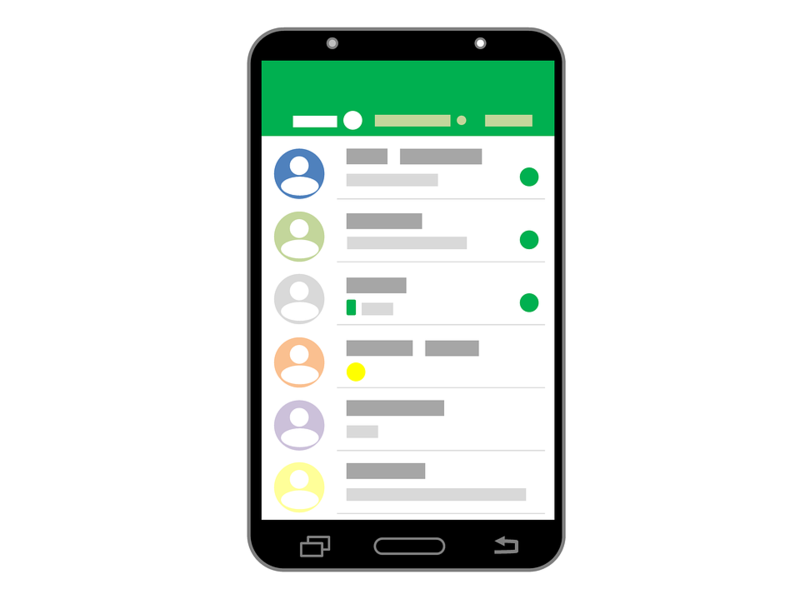 When it comes to privacy concerns, a lack of trust is what has prompted the increased usage of messaging apps mentioned above. As such, social media platforms are working to lessen these concerns and build more trust by being more conscientious of how they are using data collected from their followers. With so many social media channels to choose from, brands can (and should) utilize these differences to go after specific audiences, and tailor their content accordingly. Ad spending has shown an increase in recent years, and this is expected to continue throughout 2019. We can expect to see more brands utilizing this method of marketing, particularly on Instagram, as popularity has increased on this platform specifically. Video content has become increasingly popular, as it engages consumers and makes them feel more connected to the brands themselves. Because of this, platforms such as Facebook are altering their algorithms to ensure that video posts pop up on news feeds more frequently than written text or still photographs, which means we can expect to see an increase in video advertising. As augmented reality gets perfected, brands are using it more and more to engage their customers. Facebook is trying to capitalize on this as much as possible, investing in it heavily and ensuring that the camera can engage in augmented reality through Messenger. Your export operations must be accompanied by a clear international marketing communications strategy. Below we will discuss various website tools you can use in your strategy. Keep in mind that the use of each of these media must be consistent with your overall business strategy. Your internet website is an indispensable communication tool for your business when you go online. Your website allows you to present and represent your products and services to the entire world. Within minutes, potential new clients can find you and see what you have to offer. Your website is your catalog, as well as a visiting card for those who would like to know more about your company and what you stand for. When you first decide to make your website, it is important to keep in mind the content you want to produce and show to the world. You MUST think about how to distinguish yourself from your other competitors. Your website must provide sufficient information but always in concise, brief, and if possible, something very “lucid”. You want to give preference to photos, drawings and very clear and attractive presentations. Text of 200 lines on a website has little to no chance of being read unless it can somehow be presented as interesting and have specific content for a particular category of users. A website if meant to be found and hopefully clicked on and read through. Below we discuss a few web marketing tips on how to optimize your ranking on the search engines and directories. This process if actually called Search Engine Optimization or (SEO). The objective of the search engine is to provide the best possible information that is requested by an internet surfer. 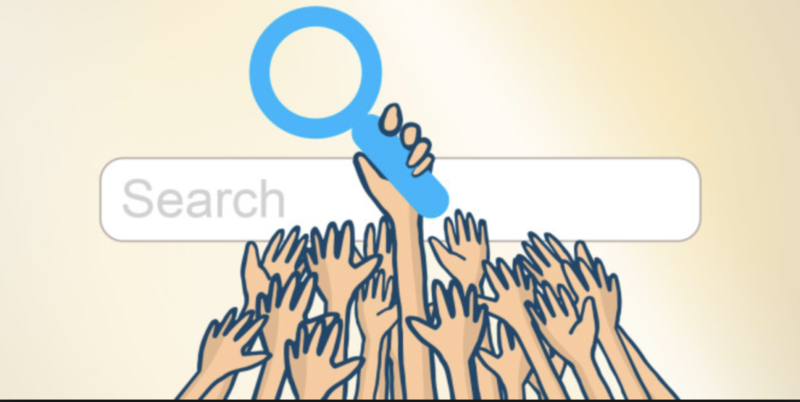 If a consumer if searching for a specific product that you have, it is important the search engines knows you are the best fit for that consumer. In order to convince their algorithm that your website meets that objective you should should use headings and text that are relevant to your business and that stand out from other businesses. It is important to think about making light pages (this means pages with not too much information and not too many documents and photos) because heavy pages are not easy to download and are not catchy to the eye. But also, too light of pages can lead to too little information and less likely a search engine will display your site to the consumer. Make sure to also think about keywords for your pages and optimize each page by using those words in the text. Defining your key words will also play a key role. It would be wise to search your competitors pages and see what they are doing for their websites. Then you can build and see what they aren’t doing and what you can make better for your website. Search Engine Marketing or (SEM), refers to practice of buying traffic to your website through paid search listings offered by the top search engines. This includes Yahoo!, Google, and Bing. Paid links are actually advertisements that appear on the right side or even the top of a consumers screen when they are carrying out a search on any of those search engines. SEM links are sold in an auction model. In order to get your site to appear in the top results, the advertiser must place a high bid for a specific keyword. Charges are also based on Pay Per Click or (PPC). This means that every time a consumer clicks on your ad, your bidding amount gets charged to your account. This can be pricey for a new company, but ultimately worth it. If is this an issue, you do have the option to limit your daily budget and you can decide about when your ad appears and you can limit the number of clicks to your ad. When scrolling through social media, how often to you see paid displayed ads? Whether you want to see them or not, they are there. Blogs and social media such as Facebook, LinkedIn, Twitter, Instagram, and more, are extremely useful in this day and age. They allow you to provide several interfaces for direct communication with your customers and potential prospects. They are valuable to you because they provide a platform for public communication between multiple users and an enterprise. Social Media: To promote your brand, use Facebook and Twitter. These sites allow you to post information and engage with your consumers. Publish visuals, videos, ask questions, answers questions, anything that can encourage active participation of your followers. For LinkedIn, you can showcase your company by interfacing with the professional world. This will help you to know about your prospects and partners as well as your employees. It is ALWAYS important to update your social media accounts regularly and respond quickly to both positive and negative posts from the public. Blogs: Some have discovered that blogs can actually be useful marketing tools as well as excellent ways to learn about their customers. 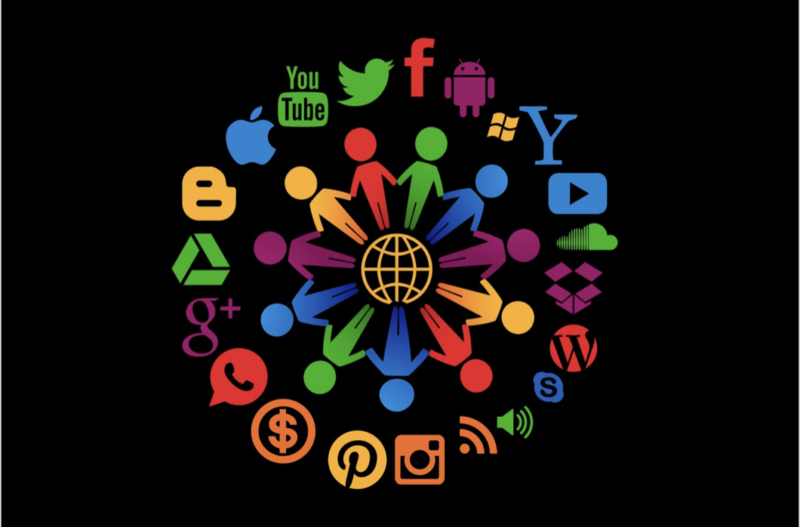 Social media allows for direct communication with individuals, so do blogs. Strong relationships can be created by using blogs. It is again, important to update your blog regularly and respond to the negative and positive posts. Push marketing is a promotional strategy firms use to drive or ‘push’ their products and services to the customer. Often there is a third-party firm involved to gain exposure. Common sales tactics include; email, social media, direct mail, print and broadcast. Push marketing is more short-term focused and looks for immediate sales. In the context of retailing, an example of push marketing can be seen in retail stores that highlight a particular product. The product manufacturers offer sales incentives or discounts to the retail stores for pushing its products onto customers. This method is beneficial for new brands or for established brands that are expanding their products as there is a need for consumer exposure. Pull marketing is a promotional strategy used to get consumers to come to you. Demand is driven or ‘pulled’ by the consumer rather than the vendor. Common sales tactics used for pull marketing include; word-of-mouth, referrals, and advertised sales promotions. Pull marketing is more long-term focused. Firms look to create brand loyalty with the consumer. In the context of retailing, an example of pull marketing is in cosmetics or beauty goods. Initially, the manufacturer advertises the product through various channels. As the advertisement gains traction, retailers pick it up and people begin to purchase the product. Increased demand creates organic, word-of-mouth marketing- resulting in the consumer doing the work for the company. One of today’s trends, particularly with younger generations, is convenience. People can turn to the internet for quick information at ease, and they like it this way. MailChimp has recognized this and has remained in line with it, as users are able to learn while in the convenience of their own homes, on their own time. The most important and widespread medium of advertising is through the Facebook platform. It is so important that experts have studied it to a science, and it is now available through this online bundle. In this section, you can learn how to create your own Facebook Ad, and optimize it to create conversations and lower costs, all of which are successful aspects of running a successful digital marketing campaign. We all use Google as our primary search engine to find new products or to answer any questions we have, which is why knowing how to use Google and optimize its Adwords is a vital marketing tool. This course will have you set up your own Adwords account from scratch, use keywords to your advantage, and learn how to navigate around the system, ultimately teaching you how to use keywords to strengthen your advertising campaign. The remaining lessons include a retargeting & remarketing guide, a lesson on building the perfect SEO-optimized wordpress website, the complete SEO & Blacklink Mastery Course, and even a course that deals with Amazon website traffic for marketers and consumers. As you can see, this course ranges for people who simply want to brush up and learn a few new tricks to people who want to completely dive in to the digital marketing world. MailChimp recognizes how valuable this will be for its users, and is likely anticipating a high demand for product, as it is charging only $37 for the course on store.entrepreneur.com. Furthermore, they are providing lifetime access and revising content with the changing times, so that skills will remain up-to-date. Additionally, users will be exposed to specific MailChimp strategies straight from experts. All the while, they are discovering how to optimize content, build email lists, and other necessary email marketing skills. There is also a platform for users to ask questions, to which instructors will respond. Products like this are increasingly important in this digital age, providing users with a better understanding of how to run a business through key metrics on this platform. You can find this Super Bundle and more information here. 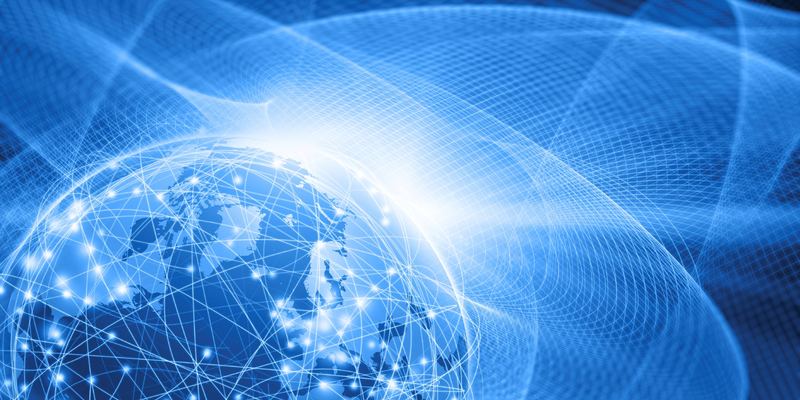 When posting content online, it often goes to all corners of the globe. With that comes misunderstandings stemming from differences in culture. Many individuals view and judge things from the cultural experiences they have obtained themselves, in their own geographic location. This can be seen when a British commenter talks about getting better miles per gallon in his car than an American. This can be a confusing topic for both parties involved until they realize that a gallon in the UK is actually a different volume than a gallon in the USA. Let’s back up, take a broader look and discuss British cars. Some well known manufacturers are: Aston Martin, Land Rover, Bentley, Jaguar, Lotus, MG, Rolls Royce, and McLarern. We are going to focus on Lotus because it is the most out of place car here in America. The Lotus Elise is a beautiful car when you aren’t standing next to it. When you stand next to it, you realize how small it is. Small cars may be normal in Europe and the UK, but in America we have much larger cars. 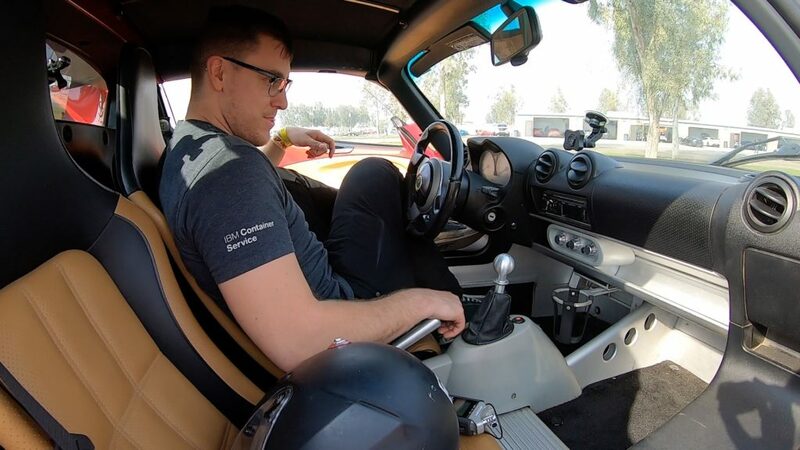 Many Americans will have trouble fitting inside of the Lotus. One of the striking differences between the US and the UK is that the UK has better public transportation. This fact alone might make owning a Lotus much more practical in the UK. In Orange County, CA it is common to drive your own vehicle or use ride-sharing apps to get around. This is ok because cost of car ownership is relatively low in the USA compared to other countries. -The Elise was sent over to the US market with only 189hp which poses a slight problem for Americans. Americans like horsepower.. a lot. A large amount of vehicles in America come with a big displacement engines. The American Dodge Viper came with an 8.0 Liter V10. It returned 8 mpg on the way to the office! The good news here is that you can bolt on a supercharger and make your Elise much faster or you can simply buy a Lotus from the factory with more power. 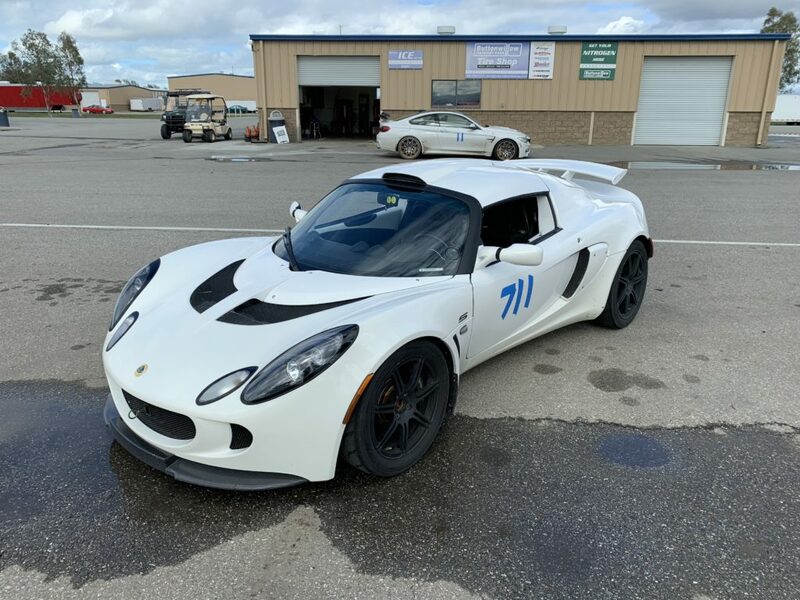 For example, the Lotus Exige S 240 came with 240hp stock. Instead of power, I focused on reliability on my lotus. The stock oil pan did not have a baffle in it. The stock suspension needed some improvements. 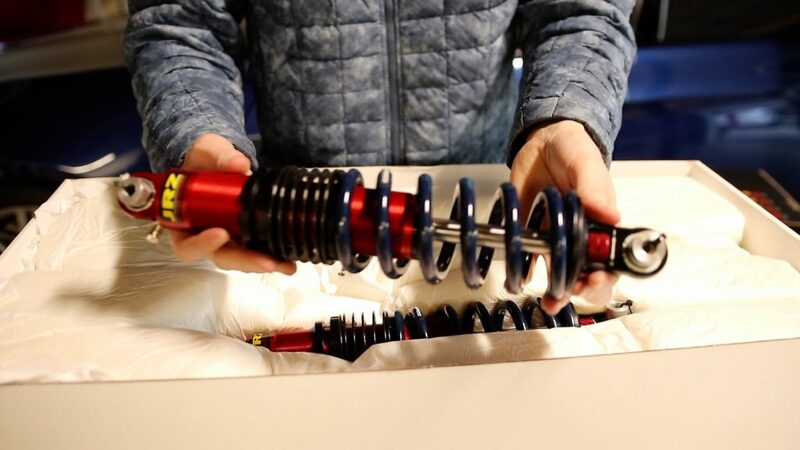 I turned to JRZ suspension in the Netherlands to build me a proper coil-over damper. The stock wheel sizes were not appropriate for the US domestic market, so a local aftermarket company produced a custom sized wheel-set for the lotus. 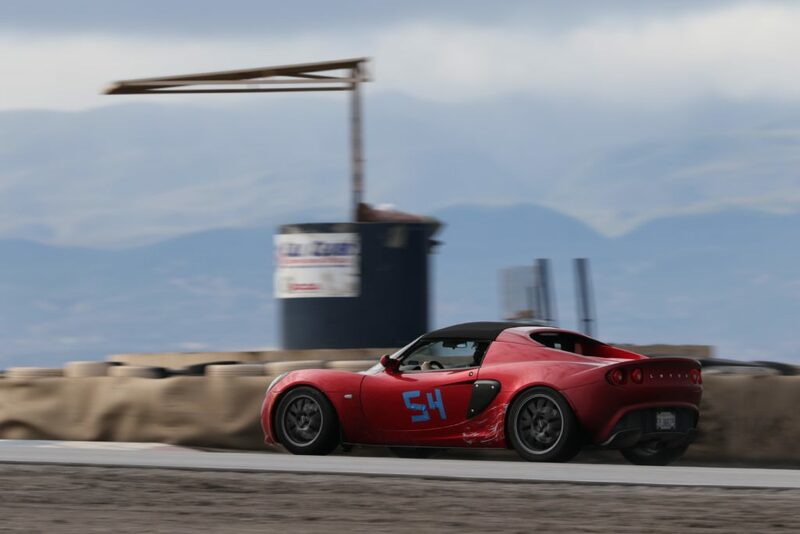 With these improvements, the Elise was able to keep up with the stock corvettes on the race track. The benefit of running the smaller, lighter Elise over a larger, heavier, American car is that the consumable expenses are much lower. This means that although it may not be the fastest vehicle out on the track, you will spend a lot less money running the car. Gas, brakes, and tire costs will be significantly less than a more typical American sports car. While the Lotus Elise was an enjoyable experience, I obtained much more joy on the day that I sold the car.